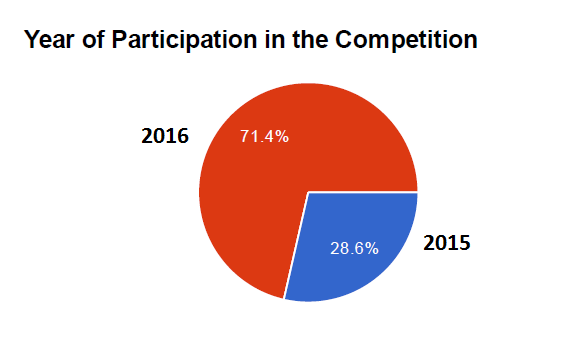 The Young Global Ambassador Program of IBA-VIAC CDRC Vienna recently surveyed former participants in the competition from Kenya, Austria, Germany, France, Poland, the Czech Republic, Bulgaria, Ukraine, Russia, Belarus, the UK, the USA, Brazil, India, Singapore, Turkey and Lebanon about their experience. The lessons learned and the advice they could render to future negotiation and mediation teams are summarised in this article. 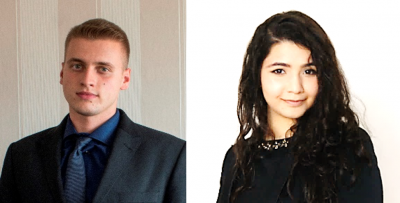 Two Young Global Ambassadors of the IBA-VIAC CDRC Vienna – Jasmin Rosita Zareie from Austria and Georgi Todorov Elenkov from Bulgaria – share their perspectives over the answers that YGAP received. Jasmin: The IBA-VIAC CDRC Vienna Competition 2015 was introduced to me in my mediation class at the University as a new and innovative international negotiation and mediation competition which provides a unique platform for the development and professional exchange of negotiation and mediation professional skills among students and experts from all over the world. The survey showed us that the same was true for the both the first and second edition participants. 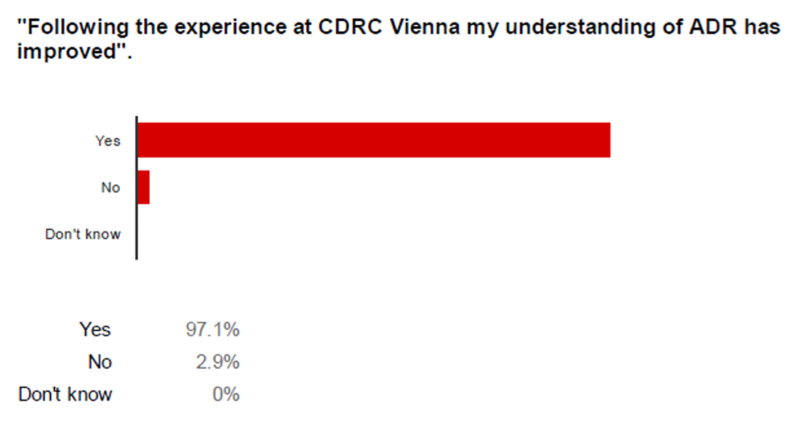 It’s interesting that over half of the participants came to know about CDRC Vienna through the University, a third through friends, and almost 15% came to hear about the IBA-VIAC CDRC competition through institutions. 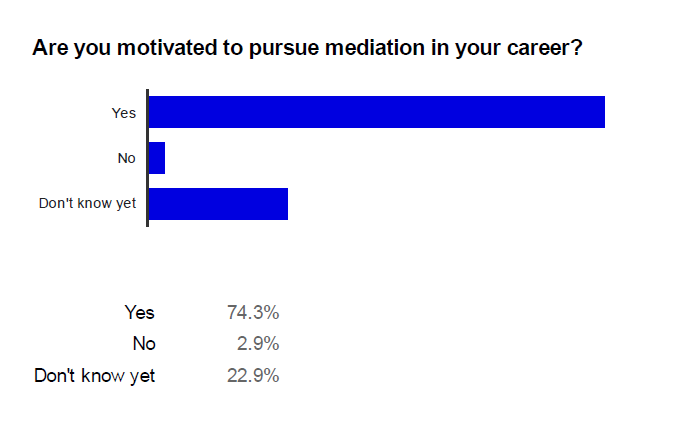 Georgi: The reason for this unequivocal answer of the surveyed CDRC participants is that this competition provides you with the tools to truly get a good grasp of the many practical benefits of commercial mediation. The limited number of participating universities allows for an almost instant formation of a vibrant ADR community. In the latter – through a constant dialogue between competitors and renowned practitioners from all around the globe – the great practical benefits of agreements crafted through mediation instantly become apparent. Jasmin: CDRC Vienna is a new type of educational competition, combining the arts and skills of mediation and negotiation, with a goal to create a platform that connects ADR experts of the future with the best professionals and facilitates intellectual and professional experience exchange of best practice between members from various fields of ADR. Given the fact that you work with the best ADR experts and universities worldwide in several competition sessions, CDRC contributes a lot to the practice, exchange and growth of negotiation and mediation among students and professionals. In the survey it can be seen that most participants not only enjoyed the first-hand experience to work on a high-profile commercial case but also valued the possibility to network, get feedback and interact with the most brilliant experts and judges in the community. Georgi: CDRC gave me the impulse to become an active part of the Bulgarian ADR community and to allocate efforts towards promoting mediation. There are many certifying institutions and mediation practitioners in Bulgaria that operate separately and don’t share the belief that mediation could truly enjoy a wider popularity in the near future. My mission is to help unite such local certifying institutions and sole practitioners around a calendar of strategic initiatives (including the organisation of an international commercial mediation competition in Sofia) and thus systematically promote ADR and mediation in Bulgaria. Since CDRC gave me the opportunity to meet with successful mediators who have already done the same in their home countries and who are ready to constantly give support, the realisation of the above goals now seems within reach. Jasmin: CDRC provides students with a unique valuable training in written, oral advocacy, legal and factual research and analysis. 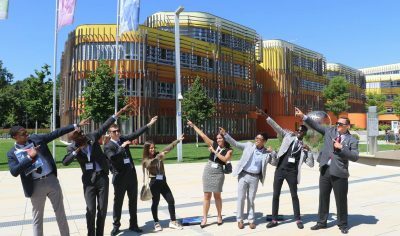 The competition offers a unique forum at an incredibly beautiful and modern venue in Vienna for the intellectual exchange and growth of negotiation and mediation theory and professional experience among students and experts from various fields and from around the world. Nevertheless, the competition provides an opportunity to connect with professionals and experts to gain further experience and upgrade your skills and knowledge in the research and practice of law. Just as almost 100% of the participants I highly value the experience of being a successful participant of CDRC. Feedback and interaction with the experts and judges. I couldn’t agree more with the above answers. Half a year after stepping into the CDRC journey, I realise how important these things are – the practical experience, the advice received, and the networking. 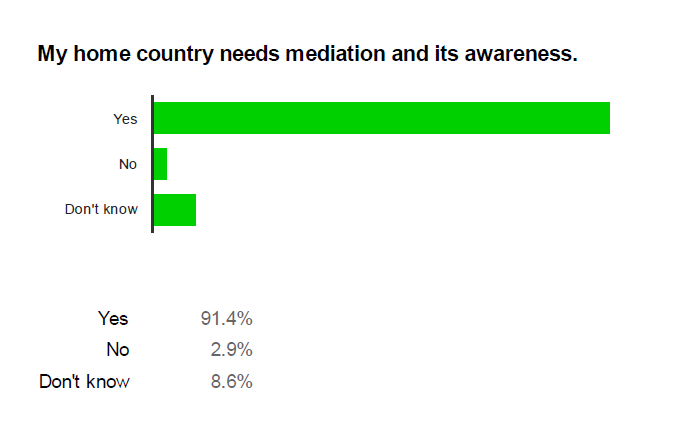 CDRC is so much more than a student competition – CDRC is a unique gateway to the exciting world of mediation. Undoubtedly, I could not agree more. CDRC is an innovative type of education competition which provides you with a unique first-hand insight into the arts, skills and best practices of mediation and negotiation. It constitutes itself as a valuable institution which improves many essential soft skills which are crucial to aspiring legal professionals, wishing to display many qualities that make a successful negotiator, distinguish themselves and exceed in the world of ADR. Jasmin: In a mooting competition, you will likely get out of it what you put into it, and so preparations are essential. Obtain the best preparation possible – know the facts and law like they were on your fingertips, then it’s a process of going on treasure hunts to find the clues you need to solve your puzzle; experience and train the rush of a competition – learn the principles of constructing reasons, read books, try to have as many mock mediation sessions as possible, practice as often as you can, and finally, be the best at public speaking, critical and analytical thinking – the appearance of the competitor is always very important, therefore, be conscious about your voice, body language, and stay authentic. Work hard, practice but above all – stay calm and enjoy the experience! 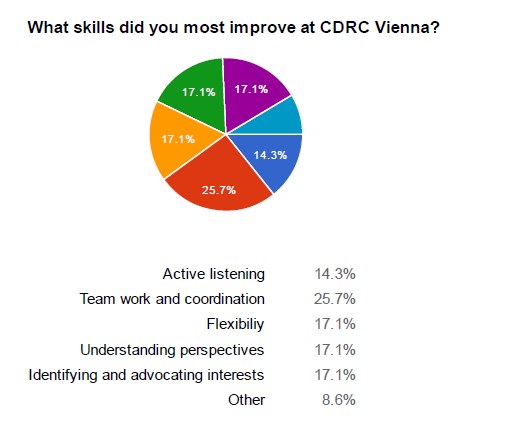 ￼￼Georgi: When it comes to my tips for future participants, I can garnish my CDRC article [https://www.cdrcvienna.org/negotiation-techniques-that-helped-us-win-1st-prize-of-cdrc-2016/] with the following (most of which is on a par with the majority of the survey answers): You have to be conscious of the reality that almost every CDRC competitor will know the problem by heart, shall successfully push forward their agenda and manage the negotiation process with ease. What you need to do (especially in the shoes of the CEO) is to stand out, to show – including physically, verbally, emotionally, etc. – that there are worlds within you. Also, please, do embrace every opportunity that CDRC presents you with! Join all social events, participate proactively in the workshops, meet everybody – be it fellow participants, coaches or expert assessors (oh, and if you have a particular proclivity for adrenalin experiences, try the Black Mamba at the Vienna Prater). CDRC will truly change your life – Jasmin and I can vouch for that! Georgi is a law student at Sofia University “St.Kliment Ohridski”, pursuing a career in international commercial law and ADR. He works at Legal Solutions Partners, a law office providing legal and business advice with a prime focus on commercial matters. Having participated in many international forums, i.e. ICMC (Paris) and the second edition of CDRC, and having successfully certified as a professional mediator, Georgi aims to play an important role in the Bulgarian ADR community and actively promote mediation in his home country. Literature, theatre and travelling are among Georgi’s plethora of interests. Jasmin is a Political Science and Doctor of Laws degree student at the University of Vienna. In her studies, she specialises in civil litigation and international commercial law with a special focus on litigation, arbitration and mediation. She already gained professional experience by working with various Austrian top law firms. Currently, she works as a junior judge at the Higher Regional Court of Vienna and at the University of Vienna. She is fluent in German, English, Farsi, French and has a good command of Spanish. In her free time, Jasmin enjoys playing the piano, reading, debating and travelling. 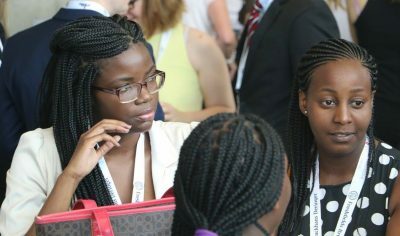 The Young Global Ambassadors Programme, or as they like to be called, the “YGAP”, is a collective of young students and professionals unified by their experiences at the IBA-VIAC CDRC Vienna and incorporated as a group to propound the values and virtues of consensual dispute resolution in and through the global platform established by the IBA-VIAC mediation and negotiation competition. 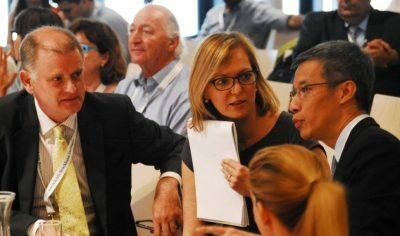 Combining the strength of their background, culture, profession, associations, and their individuality, YGAP proves itself to be a unique network of mediation zealots. Having started after the first edition of the competition in 2015, YGAP has contributed several blog publications for future participants to gain insights and preparatory tips; surveyed the competition’s impact on participants; interviewed international experts in CDR sharing their rich expertise, etc. Each year, the YGAP grows bigger, taking a step closer to its goals, multiplying the young passion and enthusiasm for CDR. Click here to know more about the YGAP.